The Scottish Sea Life Sanctuary opens a window into a watery wonderland. Teaming with amazing sea creatures of astonishing variety. 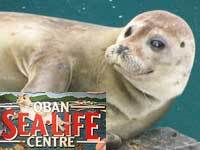 Nestling amidst the pine trees on the shores of picturesque Loch Creran, the Centre combines a spectacular aquarium with a busy rescue and rehabilitation facility for both common and grey seal pups. 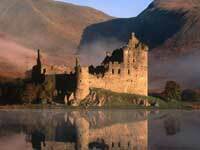 Kilchurn Castle is a ruined 15th century structure on the northeastern end of Loch Awe, in Argyll and Bute, Scotland. It was the ancestral home of the Campbells of Glenorchy, who later became the Earls of Breadalbane also known as the Breadalbane family branch, of the Clan Campbell. The earliest construction on the castle was the towerhouse and Laich Hall (looks onto Loch Awe). Today, its picturesque setting and romantic state of decay make it one of the most photographed structures in Scotland. Situated amongst some of Scotland's most beautiful scenery, lying deep within Ben Cruachan is one of the country's most amazing engineering achievements. 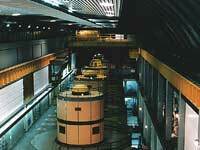 The world's first high head reversible pumped storage hydro scheme is housed in a gigantic man-made cavern. 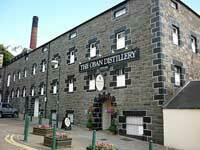 The Visitor Centre houses the free exhibition area and is the starting point of the guided tour. The area surrounding Connel has more walks and trails than we have room for on this website. From easy strolls along the various beaches and headlands to mountianeering on any of the famous peaks and Bens. 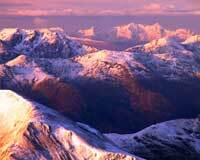 Scotlands highest peak, Ben Nevis is about 40 minutes drive from Connel. Both Glencoe and Nevis Range ski resorts are within easy reach by road from Connel.